Among the innovations of the great Renaissance sculptor Donatello was rilievo schiacciato (flattened relief), a form of carving that employs line and slight variations of surface depth to achieve its refined effects. 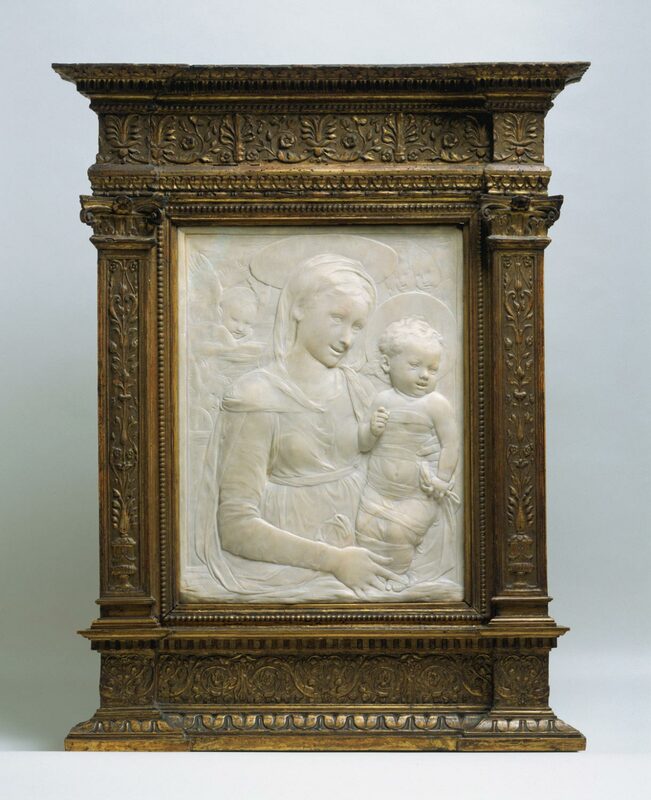 Here Desiderio da Settignano, Donatello’s most accomplished successor in this demanding technique, has transformed a familiar Renaissance religious subject into an image of atmospheric, unearthly delicacy that retains a tender intimacy through the engaging expressions of the Virgin and Child. Acquired as part of the important collection of Edmond Foulc, this remarkable masterpiece was realized through a near-miraculous manipulation of the marble’s shallow surface. Jack Hinton, from Philadelphia Museum of Art: Handbook. Philadelphia: Philadelphia Museum of Art, 2014, p. 101.